The struggle is real. It’s just plain hard to find the strength…the stamina…to get through the ups and downs of our daily lives. Sometimes it’s enough to make you want to go hide in a cave. Guess what? Elijah has been there, done that. His life was a string of seriously mountain-top high and bottom-of-the-pit low events, and yet he did extraordinary things for God. In Elijah, you’ll learn the spiritual stamina secrets that helped this great prophet hold on and persevere in faith, including practical habits related to making decisions, caring for the soul, accepting circumstances, mentoring, and finishing well—Elijah’s ultimate legacy. He doubted and struggled just as we do, but he chose to believe God through it all. As you study his life through a combination of study of Scripture with personal reflection, application, and prayer, you will grow in faith and develop spiritual stamina that will help you not only to survive but to thrive in every season. In addition to the book, other resources for this six-week, women’s Bible study include a Participant Workbook with five days of weekly lessons, a Leader Guide, and a DVD, plus a boxed Leader Kit that contains one of each component. 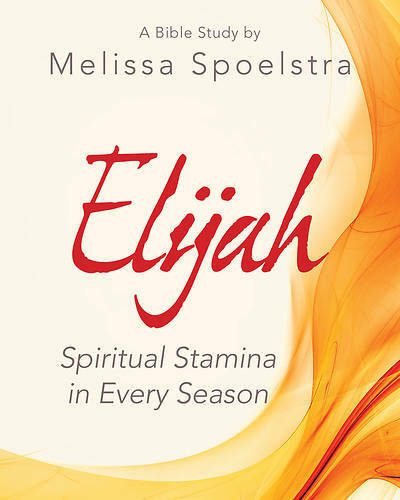 A companion Devotional Prayer Guide is also available, 30 Days of Prayer for Spiritual Stamina.